Hi everyone! Loooonnnggg time no post for me. When you make a sound with you mouth, your vocal cords will vibrate and this generates a sound. That sound is not a pure note. It'll be a combination of several notes (the harmonics?). The same applies for a game call. So here's the question: Does a game call generate the same combination of notes as the real animal? Almost the same? Somewhat close enough? 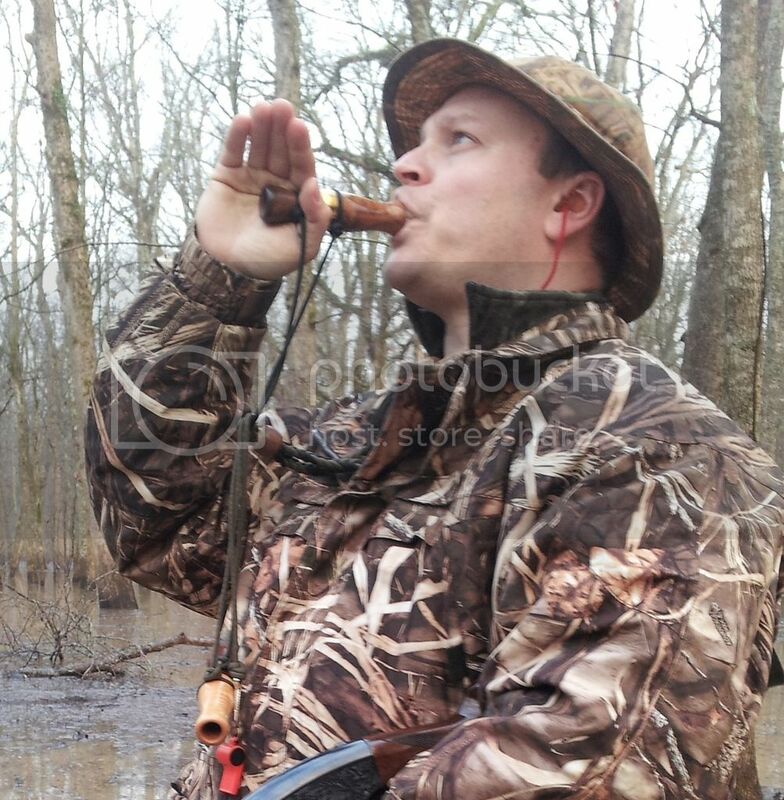 I'm primarily a duck call maker, so I can speak to that better than most other calls. You're right that most sound we hear is not a 'pure tone' like what you'd hear off of a tuning fork. Even the sound coming from a guitar or other instrument is not a pure tone. Same goes for our voice or the voice of an animal- it is a complex tone made of many notes. With duck calls, there are definitely some out there that get a very basic sound, and as a result, it just does not sound like a duck. You'll hear a lot of makers talk about 'ringing' hail calls, 'raspy' bottom ends or even 'cajun' squeals in their calls. These are all effectively overtones that add to the complexity of the note that the call is making while operated to make it sound even more like a duck and the complexity of their voice. Sound is defined as vibrations that travel through the air or another medium and can be heard when they reach a person's or animal's ear. So, I’d say, yes, When you hear a human replicate a specific animal sound the caller generates similar combination of notes (or vibrations). "light travels faster than sound"
I have a friend who makes Turkey box calls. He has recorded a flock of Turkeys specifically the sounds the Turkey make during breeding season. He ran the recorded calls through a spectrum analysis program and plotted the spectrum. What he learned is that no 2 Turkeys sound exactly the same but they are all within a narrow band of sound for similar calls. My friend tests his box calls to make sure the sounds they make are within the Turkey spectrum of sounds. He is also the best Turkey hunter/caller I know. Fred, you *nailed* exactly what I was looking for as an answer. Thank you sir!